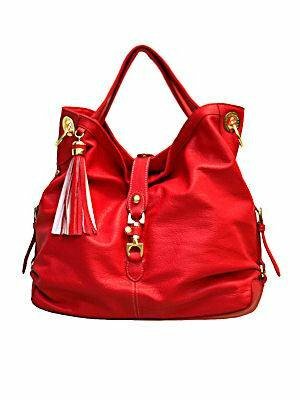 This large handbag includes a pebble finish, double handle with a removeable shoulder strap, gold hardware, one interior zipper pocket trimmed with crocodile embossing, three interior slide pockets trimmed with crocodile embossing, signature hardware and tassel detail. Includes detachable shoulder strap and sleeper bag. Guaranteed authentic, 1 available.